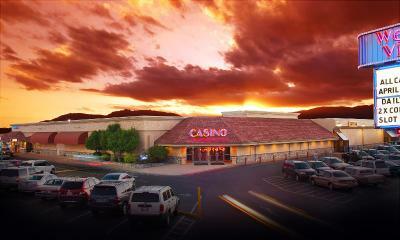 Lock in a great price for Western Village Inn And Casino – rated 8.4 by recent guests! An awesome welcome tv channel. It shows 20 second silent videos of attractions all over the world. I loved the berlilli coffee shop. Good was great and prices were awesome. Wanda and Kim did s wonderful job. Good food at all the restaurants. Hotel was clean and comfortable. It's nice having the hotel away and separate from the casino. Beds and pillows great. Staff very friendly and took care of our needs immediately. 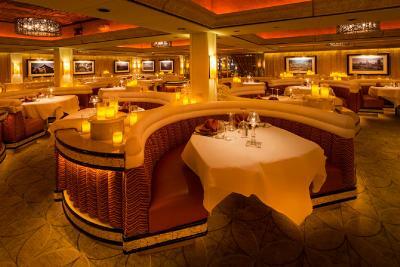 Restaurants were great. Good food and good prices. Extra effort made when booking.com reservation could not be found in their system. They were almost booked. Blessed to get a room. Even charged me a bit less than the original rate. Crystal at the front desk was fabulous! 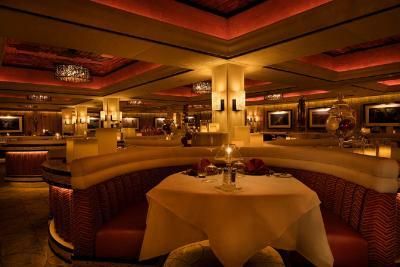 The rooms were nice, the restaurants and bars were great and the staff at each were extremely hospitable. Location to highway and ski areas, casino and slots, food. The room had lots of drawer space and enough chairs - these things are lacking at more expensive hotels. The staff was above average and acted like they were happy working there. The restaurants that I visited gave good value. Everything. Great staff. Clean rooms. Great deal. Western Village Inn And Casino This rating is a reflection of how the property compares to the industry standard when it comes to price, facilities and services available. It's based on a self-evaluation by the property. Use this rating to help choose your stay! 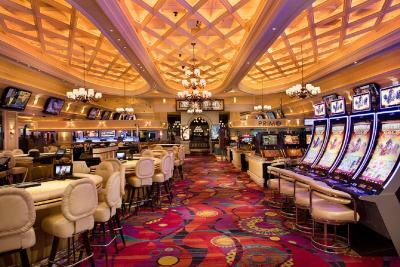 Next to Sparks Marina Park Lake, this Nevada hotel features an on-site casino and 3 restaurants. All guest rooms include cable TV. 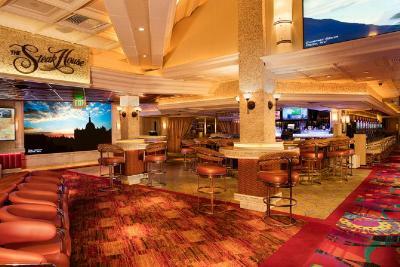 Featuring classic Vegas decor with a modern twist, all air-conditioned rooms at the Western Village Inn and Casino include tea and coffee making facilities and a fridge. The comfortably furnished rooms include a dining area. 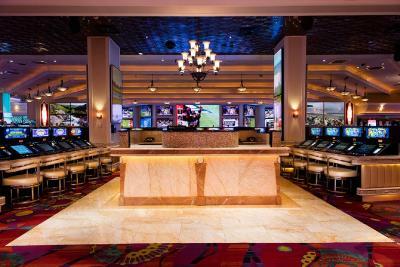 With vibrant lighting and plush seating, the Western Village Casino offers 24-hour entertainment. 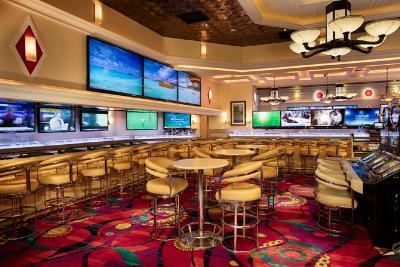 A variety of slot machines and table games are available. Downtown Reno is 5 miles from the hotel. 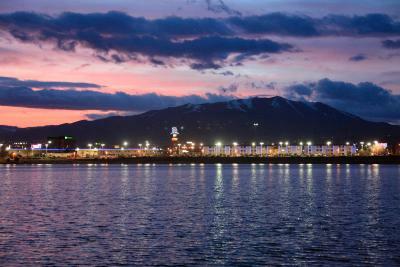 The Reno-Tahoe International Airport is a 10 minute drive away. Sparks is a great choice for travelers interested in climbing, ancient landmarks and museums. 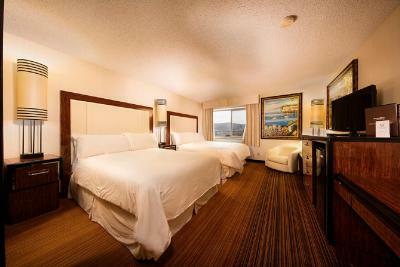 When would you like to stay at Western Village Inn And Casino? 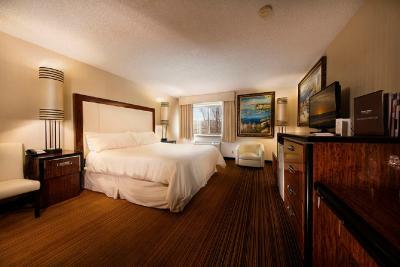 Featuring a TV with cable channels, this room includes a coffee machine and a refrigerator. Area Info – This neighborhood is a great choice for travelers interested in climbing, ancient landmarks and museums – Check location Great location - show map Guests loved walking around the neighborhood! 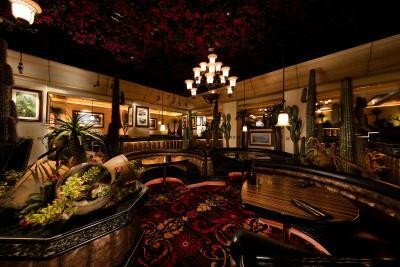 House Rules Western Village Inn And Casino takes special requests – add in the next step! Western Village Inn And Casino accepts these cards and reserves the right to temporarily hold an amount prior to arrival. Guests of the property must be a minimum of 21 years of age. Please note: Bed setup for the Standard Room is based on availability and is not guaranteed. Pet rooms are limited and based upon availability under the Pet Friendly Room. Contact the property for further information. 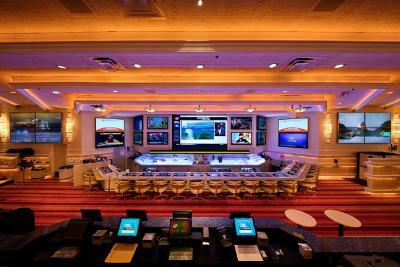 We would have preferred to have stayed in a facility that does not offer gambling since so many gamblers seem to smoke. 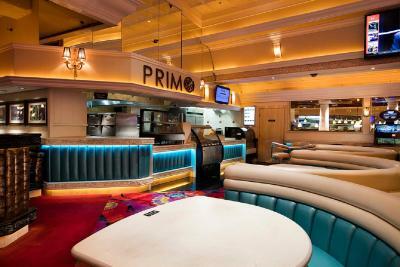 We did NOT eat in the restaurant because the entire casino in which the restaurant is located smelled like an ashtray. Fortunately, the hotel facilities are located in a separate building that we were told is "totally nonsmoking." We did not sense smoke in our room or in the corridors. We would stay in this facility again, much as we have in the past. Firstly, it may be that our reasons for staying at Western Village were not yours. 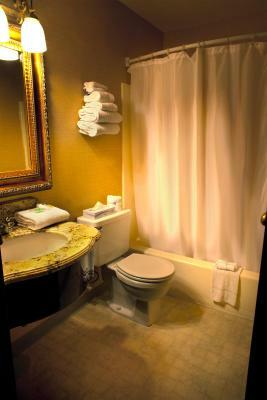 We were traveling from the San Francisco Bay Area through Reno on our way to southern Nevada and Utah, starting out in the early evening, so this was a relatively inexpensive lodging option. We do not gamble. 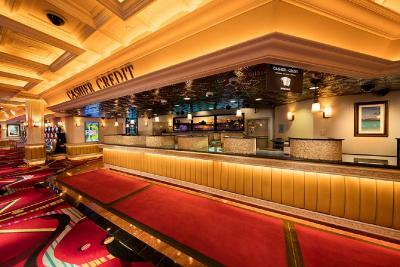 It appears that this facility was redecorated in the last year or so, as the overall appearance was better than our previous experience of a few years ago when it had the look of a somewhat dated "casino" look. Gone were the "rounded corners" where accumulated dust and grime had collected. We didn't use any hotel services, so we couldn't comment. The room was reasonably well appointed with a microwave and (If I recall correctly) a refrigerator. We had a king room. The bath and bed linens were adequate and overall cleanliness was very good. Given the price, we felt we received excellent value. For us, it was simply a place to rest and then get on our way for the majority of our trip. I'm unsure if we would have felt quite the same way if we were to have stayed multiple nights, but it largely would depend upon preconceived expectations. We felt it provided good value for us. We left rested and satisfied. Cant say cause everything was great. Bathroom walls need to have wallpaper taken down in hotel room. Overall the rooms were nicely renovated but bathrooms need attention. Same with elevator. Smokey halls and first room Smokey from the bath fan. Indian office staff refused to move us to non-smoke room. $50 on thurs then $100on Saturday. No breakfast. Coffee maker not work and no creamer in room. Casino food $40 streak-no discount there. No microwave. Bathroom need some simple maintenance done . Size of room, bed and amenities. Room has a view of a brick wall. This location overlooks an amazing lagoon, was why I picked it. Why would there even be a room like this? Is it because it's a handicapped room? Do disabled people not like views? Also, the shower head glide would not stay at the top for a proper shower. It would slide back down set for someone sitting. Had to take it off to use.